5 Over 50 Challenge: Orange is the New Black | Is This Mutton? I found a Boden skirt on eBay but it turned out to be more red than orange. A pair of orange trousers from Asos were too voluminous. I sourced a vintage 80s orange bag from Etsy and a hat, a hat! from eBay. (I'm starting to get a bit of a thing for hats). It is orange, honest, but looks a red shade in the images. With the clock ticking away, and every charity shop in the area raided, I finally ordered a pair of kick flare trousers from Missguided. And I was good to go. Close-up of the beautiful orange agate Radiance necklace from Eternal Collection. 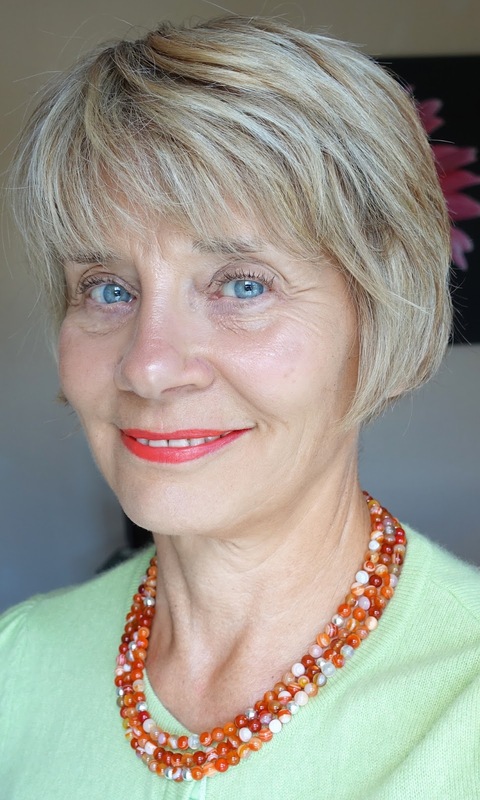 I don't know if you've discovered this website yet but they have wonderful jewellery at very good prices.A statement necklace really rounds off an outfit for me, and they have such a great selection. Necklace, Eternal Collection*; hat, ebay; vintage bag, retroroxyboutique at Etsy; cashmere cardigan, Marks and Spencer, past season; kick flare cropped trousers, Missguided. Wedges: Artigiano, past season. Autograph Illuminating Primer; Darphin Melaperfect hyper pigmentation correcting foundation, beige; Amazing Cosmetics Amazing Concealer, medium beige; Becca Shimmering Skin Perfector; Hourglass Ambient blush; Eyeko Sport Waterproof Mascara; Guerlain Kiss Kiss Liplift; Rimmel Moisture Renew lipstick in In Love With Ginger. Disclosure: * indicates gifted item. My opinions and editorial are always objective. 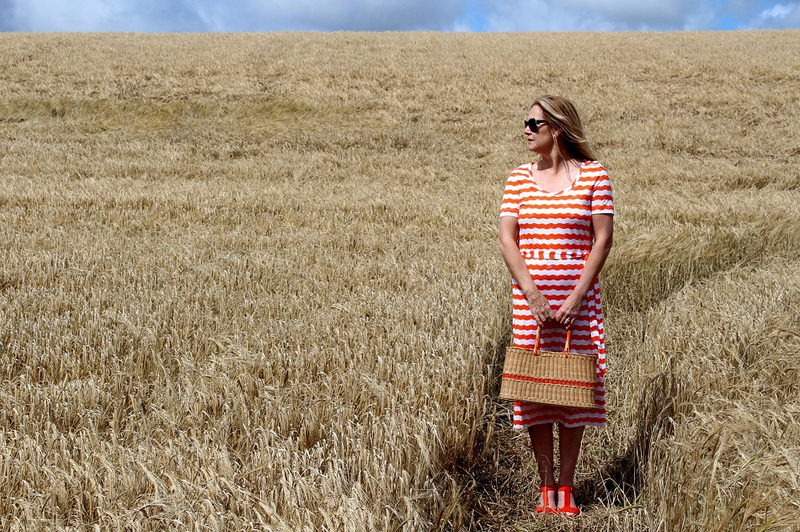 Here's Ashley from Lazy Daisy Jones looking amazing in a field of wheat in her Orla Kiely print dress and vintage basket. 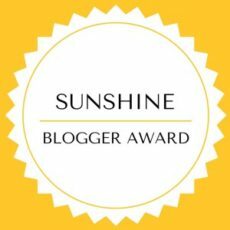 Sadly it's Ashley's last challenge, but she's published a very nice retrospective of all the challenges so far. See her post here. There's also wheat behind Jacqui from Mummabstylish, who's added stylish touches of brown with her necklace, clutch and sandals to this show-stopping orange jumpsuit. Read her post here. Orange looks great with white as Laurie Bronze from Vanity and Me demonstrates. Loving the basket! Laurie's post here. 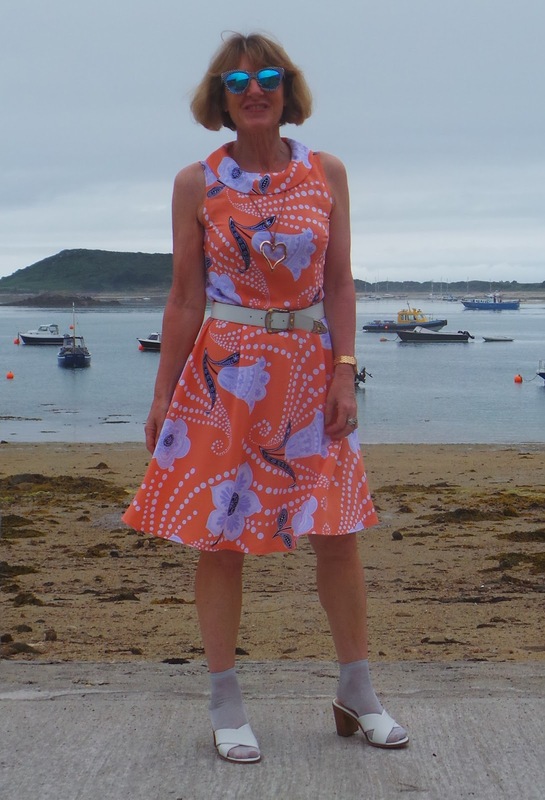 Anna from Anna's Island Style has brought her retro orange and mauve frock bang to to date with cute ankle socks. She says she's channelling her inner Vivienne Westwood! Read more here. Sharing this post with Patti at Not Dead Yet Style, Creative Mondays at Claire Justine, Catherine at Not Dressed as Lamb, Emma at Stylesplash, Jess at Elegantly Dressed and Stylish. The #5OVer50 have a Pinterest board showing all the challenges so far. Wednesday: Five Beauty Keepers. Top beauty bloggers tell us the products they buy repeatedly. Thanks Jacqui - I have a surprise up my sleeve for your challenge next month! I just bought an orange shirt, and I received so many compliments on it....I was just thinking that I needed more in my closet!! Those jeans are fabulous Gail!! 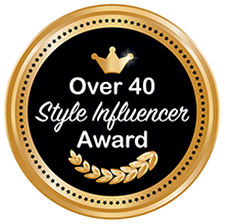 Thanks Jodie - they're from a brand which markets to teens and young women, but occasionally you can find items that work perfectly well for the older girl! I love orange! And you all look fabulous in the color! It is such a happy color! Peace! It does seem to suit everyone, which surprised me a bit - I love red but have never had much orange before! Gail you are looking fabulous in Orange it suits you! Gail, this color combination is magnificent! I adore the pale green tones with the vibrant orange (I had painted my kitchen in these green and orange tones in our very first home) ...it is so cheerful and refreshing! Those pants are fabulous and the shoes are amazing! I have a new thing for hats myself. In fact, my post today is about hats! Stop by and check it out if you could! Thanks Shelbee, you bet I'll be over, hats are becoming my new passion! Orange and minty green in inspirational and works. You all look grand. Orange doesn't suit me at all. I don't know why as I'm warm. I think it's too bold. love your outfit! That necklace is so pretty!!!!! So well put together, mint and a soft orange, maybe you had a cooling sangria or pimms in your thoughts when putting it together? 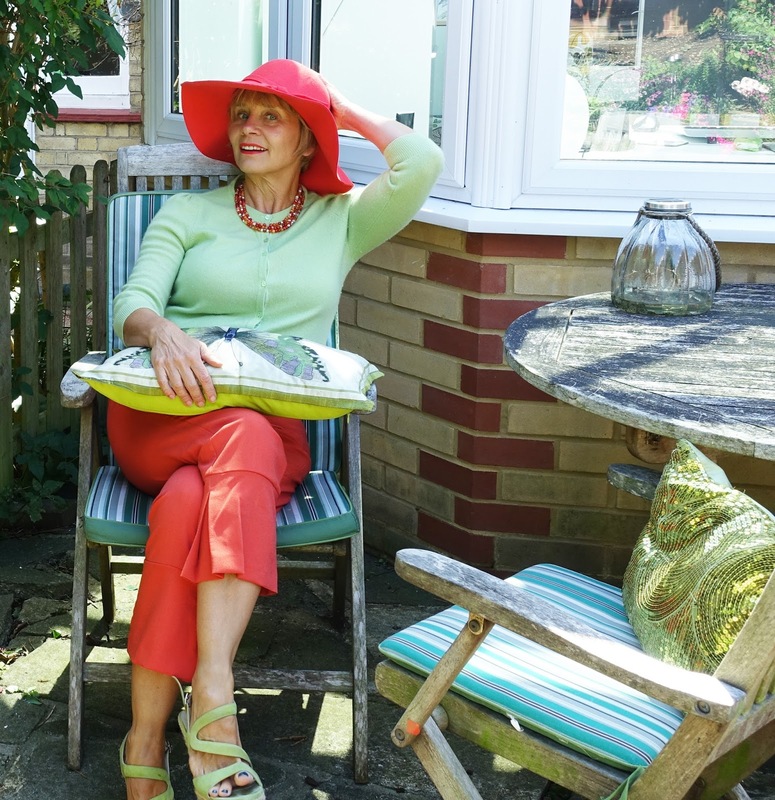 And I adore those sandals, must revisit Artigiano again, I used to buy business wear from them but I'm sure they've given thought to the pensioner too! And finally, that portrait pic is the top end of beautiful !!! Orange is such a great colour. I would have never thought of putting these two colours together and it looks great. Love your outfit. I have a orange skirt and a jumper same as yours, I am going to try them together now :) Thanks for linking up to Creative Mondays. Loving all the other outfits too. 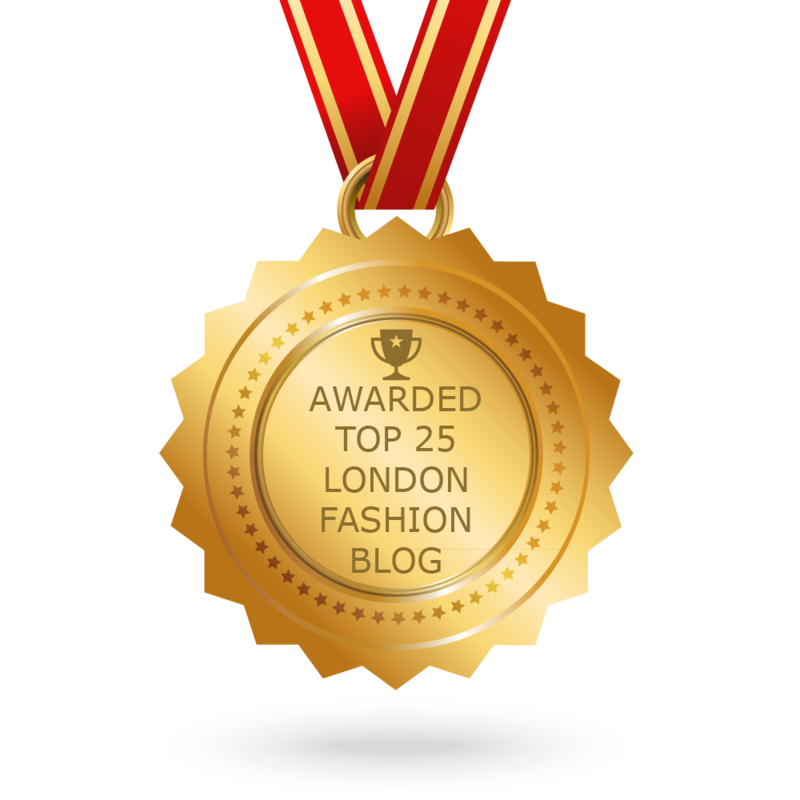 Glad to have supplied some fashion inspo! That pistachio shade works well with so many colours. Orange and green make an adorable combination Gail - this gets 10/10 from me. I love to see the detail of those trousers and rather fancy them myself... And the statment necklace is a wonderful addition, well played! It's sad that Ashley is leaving us, but we'll forge on to pastures new next time. I thought you would like the trousers --- I love your black River Island trousers! It's the kick flare detail. It's a nice summer combo isn't it? Orange and the shade of green you chose look fabulous together! Very well done! It's fairly recent that I've started creating outfits from 1 item. Before, I used to acquire several pieces that went together, and would equal, in my mind, just 1 outfit. Now I try to think how to wear pieces in many different ways. Everyone looks smashing in their orange. I just love the shade of green you combined your orange with. And that necklace! I get so jealous every time you wear a cardi buttoned up. I want to be able to do that, too! Back on Weight Watchers in hopes of reducing the size of my chest and other things. Then maybe I can, too! But doll you look so slender, I'm sure you could rock a buttoned-up cardigan. I make sure they're a size bigger than normal to accommodate "the girls." I love these bold colours together! The accessories are fab too, the hat looks great. The necklace from Eternal Collection is lovely, they have some gorgeous jewellery - I get lots of wear from my two necklaces. Thanks for linking up! This is brilliant, I keep seeing Orange around at the moment and although I have never worn it, you have definatley made it work beautifully. I now appreciate Orange much better! I love these looks! I am a convert too! I really like orange now, when I used to associate it with Halloween! Love the colors here, the soft green and orange paired, and your coral lipstick is lovely! Halloween....yes, that's where my dislike of orange originated! I can see myself buying a few orange pieces going forward but it'll never be one of my favourites. You did wonderful with the Orange is the New Black challenge! Your orange hat is a super eBay find! I encourage your “thing” for hats! All the orange looks lovely paired with the mint green. Thank you for sharing with Hat Attack!